Clear and straightforward. Sophisticated. Lightweight. And durable. 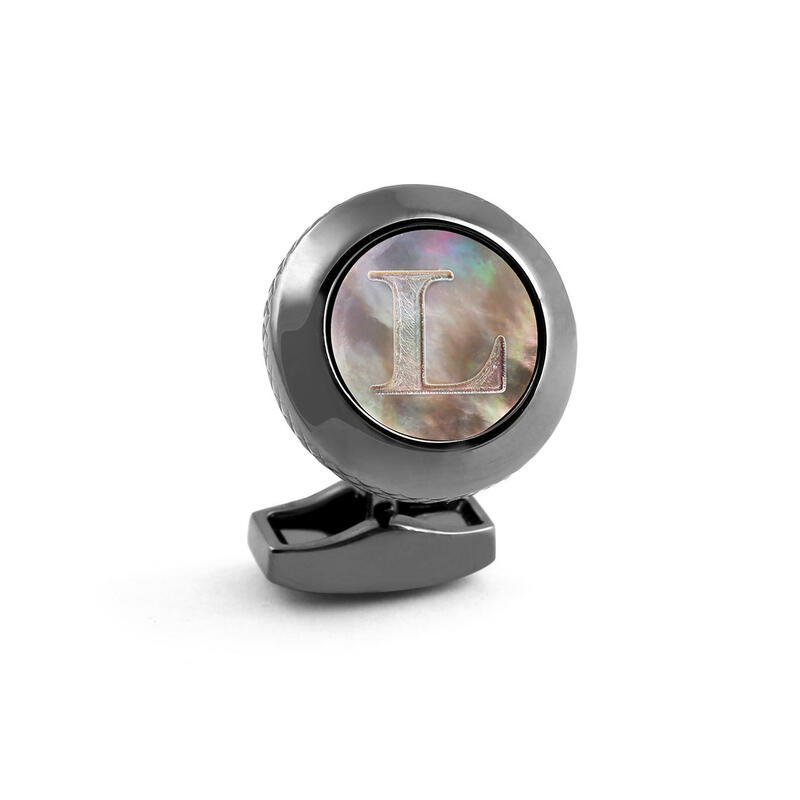 Personal and unique: Mother of pearl cufflinks with your initials. By the “King of Cufflinks”: Robert Tateossian, London. Personalised jewellery with style. 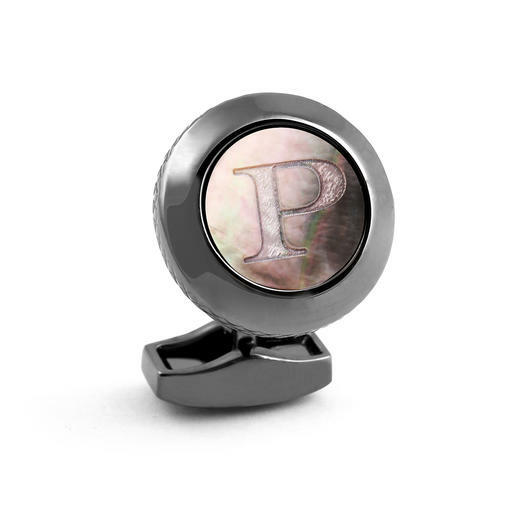 Much more extraordinary than engraved monograms in gold or silver. And much more restrained than vividly printed or mill-cut initials. The engraving of the mysterious grey, green and purple iridescent mother of pearl makes a subtle contrast. 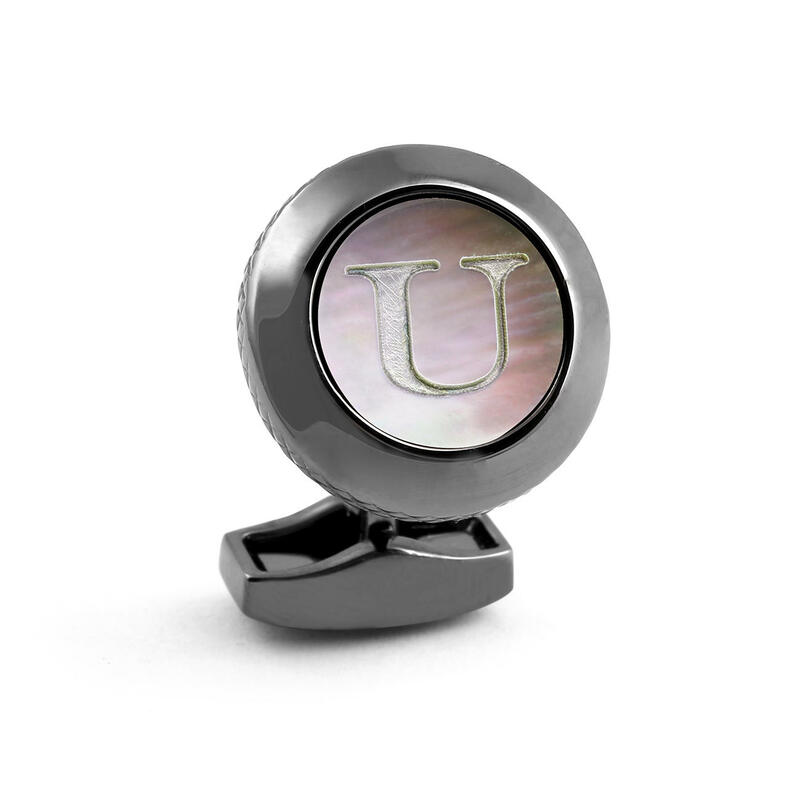 Understated chicness. 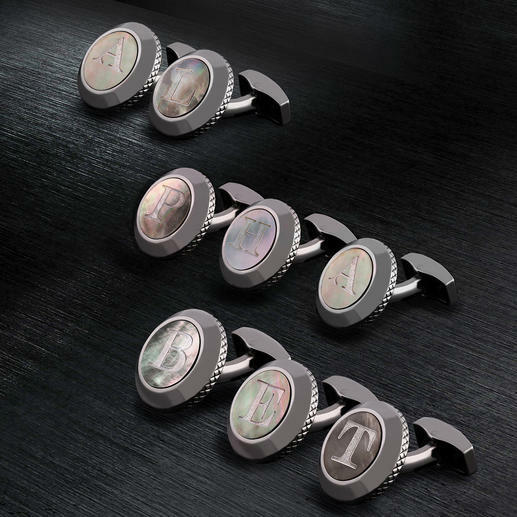 Made by London’s renowned jewellery designer Robert Tateossian. The simple round shape and the plated gunmetal frame combine spectacularly with a clean chic look and blend with every clothing style. The cufflinks measure 17mm (0.7") diameter and weigh approx. 7.5g (0.3 oz) each. 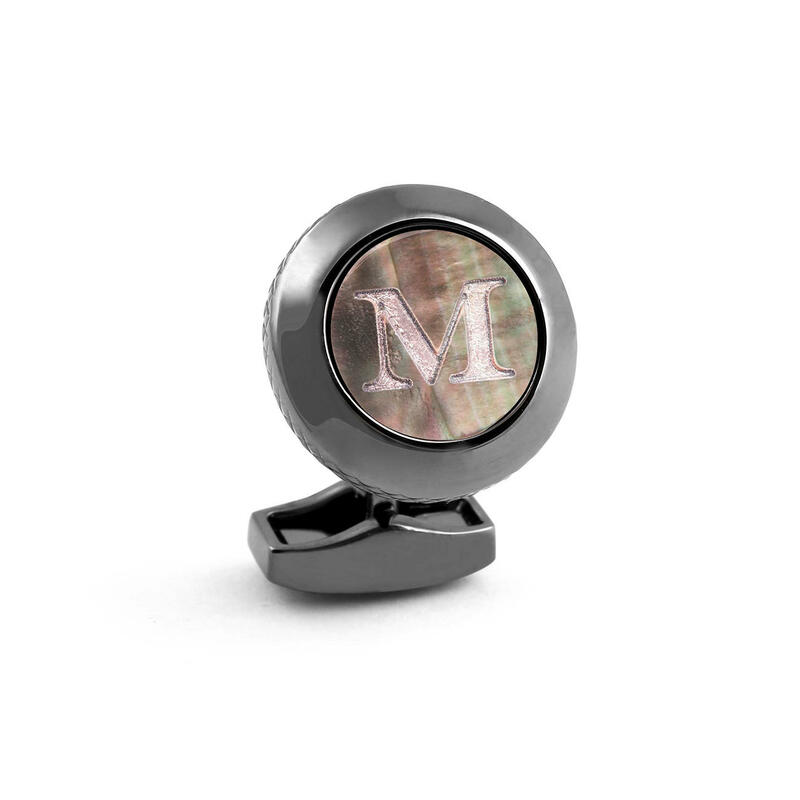 The price refers to a single cufflink, buy two initials of your choice to create your desired pair.